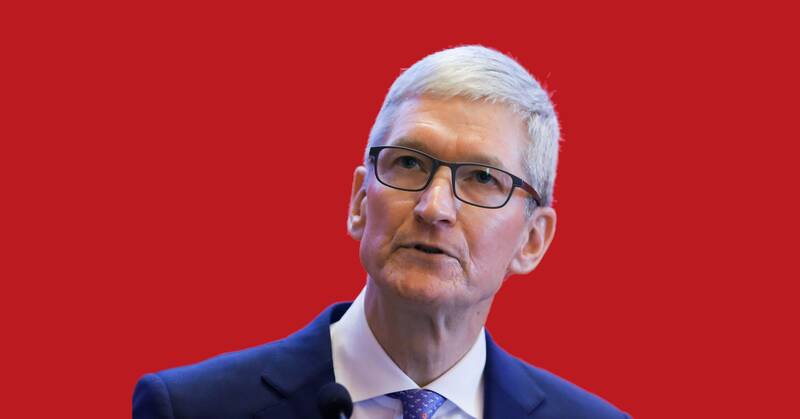 In an op-ed in TIME last week, Apple CEO Tim Cook called for a new federal privacy bill and a registry for data brokers that buy and sell data from third parties. Doing so would shed light on an insidious industry that many people may not even realize exists. It also wouldn’t be easy. That those disclosures are commonplace in some industries doesn’t mean data brokers would accept them without a fight. Just this month, Vermont’s data broker law—the first of its kind in the United States—went into effect after a hard-fought battle in the state legislature the year before. That law stops short of Cook’s proposal, requiring only that companies that handle data from people who are not their direct customers register as data brokers with the state. As part of that registration, they must also disclose whether they allow people to opt out of having their data collected and sold, as well as the number of data breaches they’ve experienced in the prior year. The Vermont bill’s narrow scope means it doesn’t require anything of businesses, like Facebook, that collect data directly from their customers. It doesn’t require companies to let people opt out of data collection and sales, and it doesn’t require that data brokers give people access to the information they’ve collected. But consumers generally don’t know that these companies exist, much less where to find their labyrinthine privacy policies. That’s the whole point. “The problem is if you don’t know who has your data, you don’t know where to send your request,” says Adam Schwartz, a senior staff attorney at the Electronic Frontier Foundation, which supported the bill. Even with the passage of the Vermont law, determining which companies qualify remains a work in progress. For instance, Facebook spokesperson Andy Stone told WIRED the company is not required to register, pointing to a report written by Vermont’s attorney general that specifically states that social media companies “fall outside of the scope” of the law. And yet, up until last year, Facebook did buy data from brokers like Acxiom and Experian, and the company does hold some data on non-Facebook users, which it uses for security and other purposes. Ross says this suggests that even the bright lines lawmakers draw can quickly blur. Even some data brokers have come around to the idea of a federal privacy law, as long as it levels the playing field for all industries in all states. After Cook’s op-ed published, Acxiom, which opposed the Vermont law, released a statement saying it too “supports a national privacy law,” particularly if it supersedes individual state laws. “We opposed the data broker registry in Vermont because we believe it is unnecessary to single out a specific industry (in this case, ‘data brokers,’) when first-party data controllers often have as much data as companies like Acxiom,” the company’s chief data ethics officer Jordan Abbott told WIRED by email. Cook’s call for a more tightly regulated data economy isn’t selfless. The company’s main competitors in tech—Google, Facebook, and Amazon among them—rely much more heavily on data than Apple’s hardware-driven business does. Taking a firm stance in favor of privacy presents a natural way for Apple to stand out at a time when trust in tech is flagging. Companies like Facebook and Google, meanwhile, which at least have a direct relationship with consumers, eagerly point to third-party data brokers as the real source of the problem. During an interview in Davos, Switzerland this week, Facebook’s chief operating officer Sheryl Sandberg also defended her company’s data-driven advertising model, saying it helps small businesses grow. “I think fundamentally disallowing this business model would hurt a lot of people all over the world,” Sandberg said. Ultimately, it’s up to lawmakers to weigh the economic consequences of these laws, and industry lobbyists are working hard to ensure they’re informed. Over the last two months alone, several proposals have been introduced in the Senate. There’s senator Brian Schatz’s (D-HI) Data Care Act, which would require companies to “reasonably secure” user data, and give the FTC new powers to fine companies that abuse that data. Senator Marco Rubio (R-FL), meanwhile, introduced a bill that would entrust the FTC with crafting new privacy guidelines to be approved by Congress. Following Cook’s piece in TIME, senator Markey announced his intention to reintroduce the Data Broker Accountability and Transparency Act, which would enable people to request their data from data brokers, and either correct it or order brokers to stop using it. Of course, at a time when the government has been shut down for more than a month and bipartisan consensus seems harder than ever to come by, the fate of these bills is uncertain. The fate of these bills is uncertain, in light of a prolonged shutdown and partisan bickering. And none of them is as comprehensive as advocates like Ross and Schwartz would like to see. But, says Ross, “It’s just the way Washington works. Everyone wants their voice out on the table.” Including Tim Cook.